James Cameron‘s Aliens (1986) 30th Anniversary event is upon us, and we will get a full panel featuring cast and crew as they reunite for this occasion via Twentieth Century Fox. The Aliens panel event will take place in Hall H with James Cameron, Sigourney Weaver, Paul Reiser, Lance Henriksen, Bill Paxton, Michael Biehn, Carrie Henn, and Producer Gale Ann Hurd in attendance. Those 250 people who pre-order will receive a special lithograph of Ripley fighting the Queen. 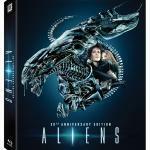 This Aliens Blu-ray will release on September 13, 2016. The anniversary release will include both the original theatrical cut and the special edition, which features more about the past and child Ripley left behind--and lost forever. It will also come with a commentary track, and previously released deleted and extended scenes. The Blu-ray set will come with collectible art cards featuring concept sketches by Cameron and a book featuring art from the Dark Horse Comics Aliens series. Official Synopsis: 57 years after Ellen Ripley had a close encounter with the reptilian alien creature from the first movie, she is called back, this time, to help a group of highly trained colonial marines fight off against the sinister extraterrestrials. But this time, the aliens have taken over a space colony on the moon LV-426. When the colonial marines are called upon to search the deserted space colony, they later find out that they are up against more than what they bargained for. Using specially modified machine guns and enough firepower, it's either fight or die as the space marines battle against the aliens. 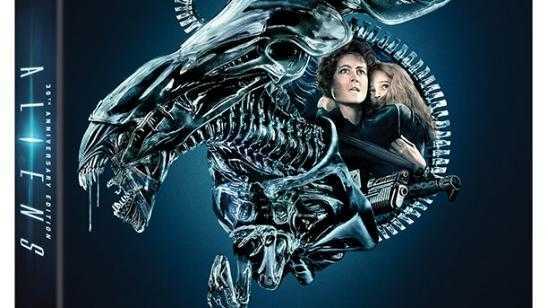 As the Marines do their best to defend themselves, Ripley must attempt to protect a young girl who is the sole survivor of the decimated space colony.